Party season is here and Vaishalinagar.com are READY to help you in your shopping ! 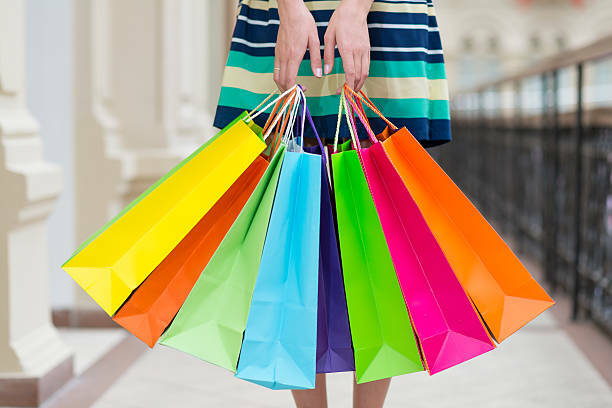 This time do shopping from these top brand shops and glam up yourself. Buying new clothes is certainly very pleasant. But which shop is the best to do shopping is the most confusing question all time. Don’t worry this time Vaishalinagar.com suggest you some of the top brand shops in Vaishali Nagar where you get all type of dresses and accessories. Get festival ready this season with our hottest styles at our suggested brand shop and make your special occasions more special. Shop the newest styles of festival clothing, dresses and accessories. Shop with us for a truly unique and unforgettable experience, both in terms of product and service. PUMA is one of the world’s leading sports brands, designing, developing, selling and marketing footwear, apparel and accessories. For over 65 years, PUMA has established a history of marketing fast product designs for the fastest athletes on the planet. PUMA offers performance and sport-inspired lifestyle products in categories such as Football, Cricket, Running, Training & Fitness, Golf, & Motorsports. It engages in exciting collaborations with renowned design brands such as Alexander McQueen and Mihara Yasuhiro to bring innovative and fast designs to the sports world. The official PUMA Online Store offers a large selection of PUMA shoes, clothing, accessories & equipment. The company distributes its products in more than 120 countries, employs more than 10,000 people worldwide, and is headquartered in Herzogenaurach, Germany. ITC’s Wills Lifestyle presents a complete fashion wardrobe that complements every facet of your personality at work, when you are relaxed, while you party and for those special occasions. The brand has created a distinctive identity in the premium western wear market. In the past it has been declared”The Most Admired Women’s wear Brand of the Year” and the “Most Admired Exclusive Retail Chain of the Year” at the Images Fashion Awards. It has been declared the “Most Admired Fashion Brand of the Year – Fashion Forward” in 2009. Wills Lifestyle has also been accredited as a Superbrand by the Superbrand Council of India and as one of Asia’s Most Promising Brands by the World Consulting & Research Corporation.Wills Lifestyle is a chain of exclusive specialty stores providing a truly international shopping experience through world-class ambience, customer facilitation and clearly differentiated product presentation. BIBA Apparels Private Limited (“BIBA”), the Indian fashion giant, stands true to its name. The brand has been dressing and embellishing demure maidens from every corner of India since 1986. Contemporary ethnic fashion at an affordable price is BIBA’s commitment to fashion enthusiasts, offering ladies’ churidars and dupatta sets in cotton, in shades of every color, and with irresistible color combinations and patterns. Mix-and-match kurta pieces from BIBA are available in different lengths, so you can experience the joys of traditional Indian wear regardless of your body type. BIBA has always been known for fashionable ethnic wear for women at affordable prices. Kurtas and kurtis are an important part of every Indian woman’s wardrobe. The word “BIBA” is a Punjabi endearment for a young and pretty girl. It implies sublime qualities, compelling Mrs. Meena Bindra, the founder of BIBA, to use the name for the line of salwar kameez, and dupattas that she launched in 1986. BIBA pioneered Bollywood merchandising in India by providing costumes for Na Tum Jano Na Hum in 2004. It covered ten more projects, including blockbusters such as Devdas, Hulchul, and Baghban. With BIBA, always expect a truly unique, wow-inspiring ethnic experience. Founded in mid 2005, Zari has established itself as one of the leading players in Women Ethnic wear nationwide. Zari has been a trendsetter in Women Ethnic wear industry in the way it has brought up itself within a short span of time and established itself as a brand. Making a strong statement by the marketing campaigns done and justifying them with the quality and range of products offered, Zari has become the first choice of customers looking for Women Ethnic wear for all occasions. With 8 retail stores across 7 cities, wholesale across 80 cities and 500 buyers, a huge manufacturing unit, Zari provides direct or indirect employment to more than 2000 people.Synonymous with originality and exquisiteness in designer Lehenga, Suits and Sarees, Zari boasts of its presence locations across Indore, Raipur, Jodhpur, Udaipur, Gurgaon and Bilaspur with its flagship store at Jaipur.